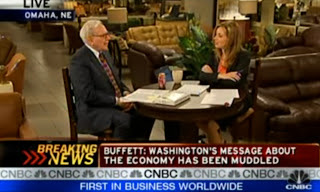 "Most important of all, however, it's an all-in wager on the economic future of the United States," Mr. Buffett said. "I love those bets." oh yea and the market loves those bets too! yeaahaaaa! You're right--but no one will say that!